The Vancouver Chapter of the PNWSCT and Conference Chairman Ray Nordstrand are pleased to invite you to attend the 2018 Northwest Coatings Fest, to be held in beautiful Victoria, BC on October 10 – 12, 2018. The symposium and accommodations are located at The Inn at Laurel Point, a wonderful waterfront location in downtown Victoria. The fun begins at 9am on Wednesday October 10 with a golf tournament held at the Olympic View Golf Club. Don’t miss this highly anticipated sporting event! Fees include green fees, power cart, practice balls, breakfast, and BBQ lunch. For further information, please contact Ron Vanderdrift at (778) 388-3376, or email him. The opening night social will be held Wednesday October 10 at the nearby Maritime Museum. This casual event includes dinner, beverages, and entertainment. Come join the fun while networking with old and new friends. The heart of CoatingsFest is the technical program which runs from the morning of Thursday October 11 through to early afternoon on Friday October 12. A series of speakers have been hand-picked to present a variety of topics relevant to our industry today. Direct your questions to Thelma Longakit at (604) 594-6211 (ext-348), or email her. The traditional Suppliers Cocktail Party and Banquet completes our calendar of social events on Thurs Oct 11. Don’t miss the post-dinner entertainment by HiWay Productions. 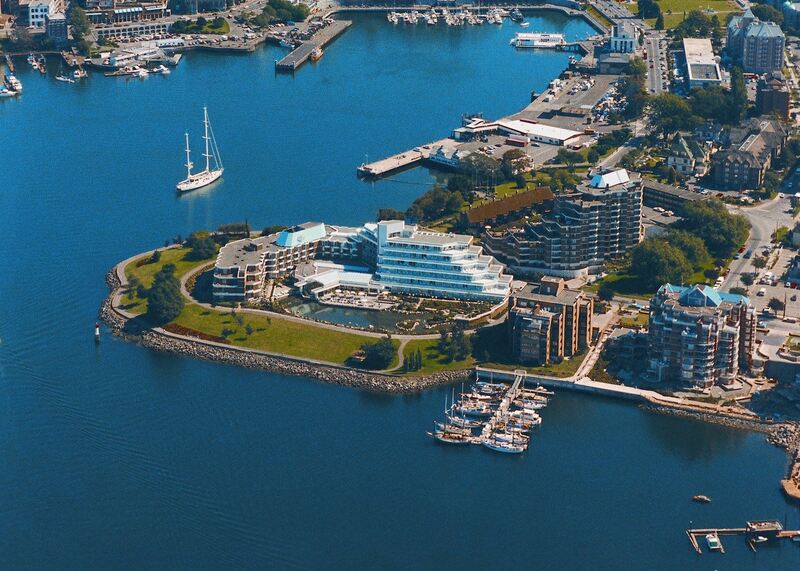 Please support the PNWSCT by staying at our waterfront host hotel The Inn at Laurel Point.This hotel is located in the heart of Victoria on the harbour, close to many popular tourist attractions and sought-after restaurants. Rooms start at $179 CND$. Hotel reservations can be made by phoning (800) 663-7667, or emailing them at reservations@laurelpoint.com. Please reference “PNWSCT 2018 Symposium” and our booking code “1018ANDICO” to obtain the group rate. NOTE: as of Aug. 16, 2018 the hotel block is now SOLD OUT. An additional four suites for $239 per night are available on a first come first served basis. A variety of Sponsorship packages are available. Your sponsorship dollars contribute to a successful and vibrant event, and also play a vital role in supporting the activities of the PNWSCT. To become a sponsor, please click here. Online symposium registration is here. The early bird registration deadline is August 15, 2018.